Ramming proved a successful manoeuvre in battle on only one naval battle – at Lissa in 1866 (click here to access an earlier blog-article about it) – but ram bows were seen as essential features for warships of almost all sizes in the half-century prior to WW1. Such bows – extended forward underwater to end in a sharp point that could gouge deep into an enemy hull – were to prove a major hazard in peacetime. Naval vessels exercising manoeuvres in close proximity to each other were obviously most at risk. Accidental ramming was to prove fatal in several major “blue on blue” disasters, several of which are described in the “Victorian Era” part of this site’s “Conflict” section (Click here to access). The tragedy of it all was that ramming would have been very difficult to achieve under modern battle conditions since improved long-distance gunnery, and higher ship speeds, would have made it virtually impossible to ram a major enemy vessel. 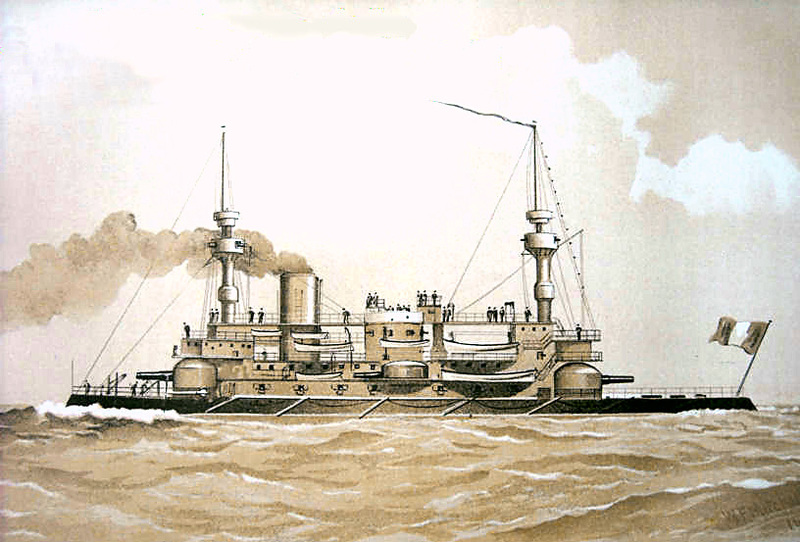 Another addition to the sad list of ramming disasters occurred in July 1892 and involved the French battleship Hoche. When she entered service in 1890, this vessel represented the epitome of a major warship designed as much for ramming as for carrying heavy guns. 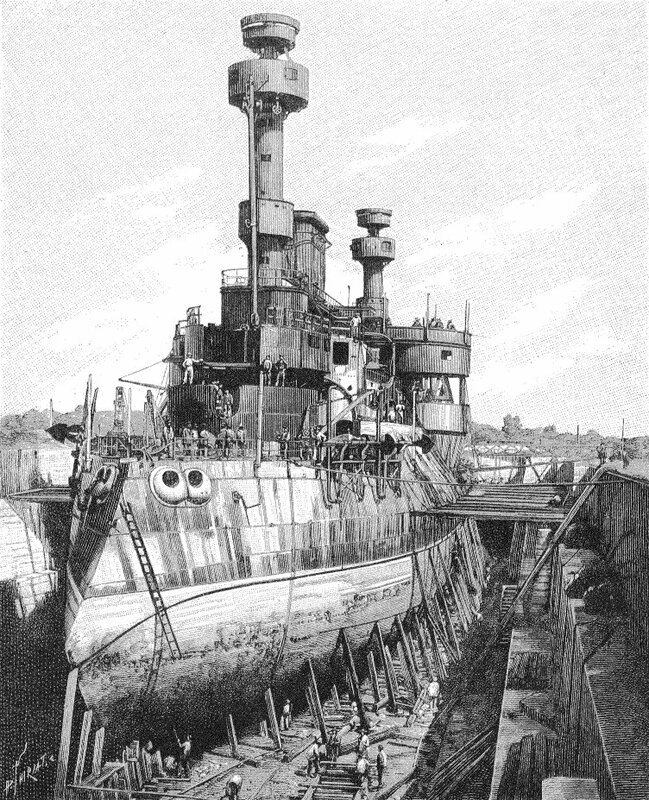 Entering service in 1890, this 12,000-ton, 322-foot vessel was protected along her waterline by an armoured belt 18-inches thick while her main armament, of two 13.4-inch and two 10.8-inch cannon, was protected by up to 16-inches of armour. Two features were especially notable – the enormous and untidy superstructure, that led to her the nickname of “Le Grand Hotel”, and the long ram-bow that ended in a vicious point some eight feet below water level. 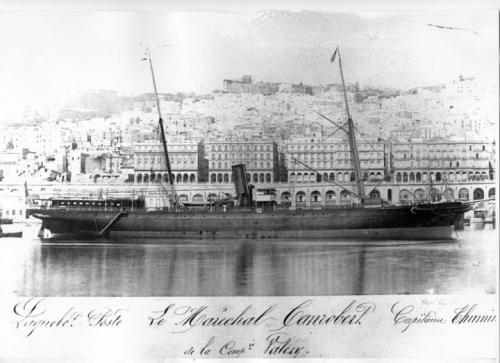 Heading for an unscheduled appointment with the Hoche on July 7th 1892 was the passenger steamer Maréchal Canrobert. Built in Scotland, and in service since 1881, this 1200-ton 250-foot iron-hull vessel carried mail and passengers between France itself and the French possessions in North Africa.
. On the day of the disaster, the Maréchal Canrobert was nearing Marseilles, following an uneventful passage from Bone (now known as Annaba) in Algeria. Some none miles south-west of her destination, the Maréchal Canrobert encountered the Hoche exercising in company with other naval units of the Mediterranean Fleet. Contemporary newspaper accounts are light on detail but an impression is gained that the Maréchal Canrobert’s captain brought his ship dangerously close to the warships, possibly to provide a better view of their manoeuvres to the passengers on deck. 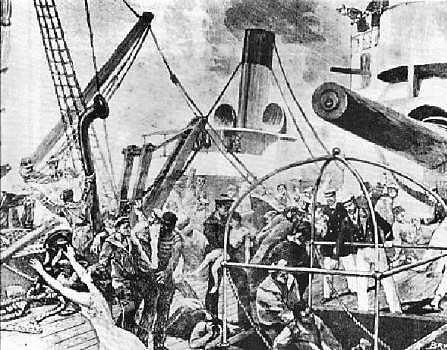 The Hoche had been firing her guns – and the propellants of the time yielded vast clouds of dense gunsmoke – and it was surmised that the Hoche’s officers did not see the passenger steamer until it was too late to take evasive action. The Hoche’s ram bit deep into the Maréchal Canrobert, all but severing her in two. Naval disciple prevailed however and the shattered – and sinking – remains were secured to the battleship to facilitate transfer of survivors and boats were also launched. 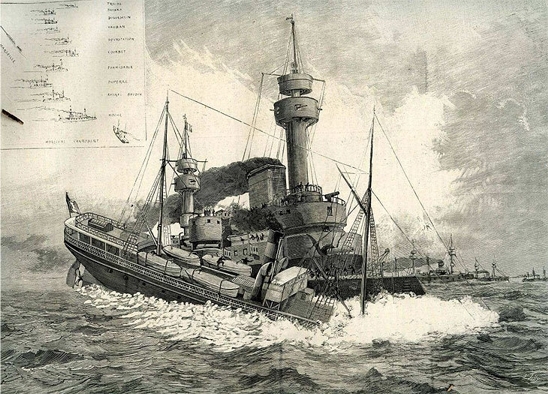 Despite these efforts the Maréchal Canrobert disappeared within eight minutes of the collision. The resulting death-toll amounted to 107. Blame for the disaster was placed on the captain of the Maréchal Canrobert. The ram had claimed yet another peacetime victim but some two decades were to pass before such bows finally passed out of fashion. Such is the power of the paradigm.